Fresh Start Carpet Cleaning is Mt. Laurel New Jersey’s best choice for professional carpet cleaning. 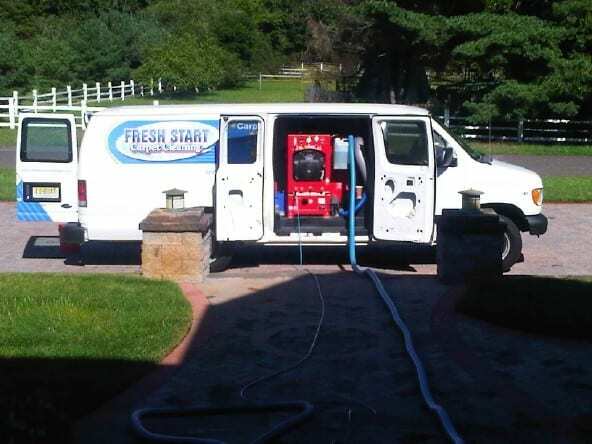 We use truck mounted carpet cleaning machines which are located in our van we use our own water and not yours. Our process is pet safe and fast drying, we also specialize in pet odor removal and stain removal. We offer carpet protectors such as Scotch Guard to help keep your carpet from becoming permanently stained and we deodorize after every cleaning free of charge. We offer competitive pricing and special carpet cleaning discounts when advertized. Click or call for a free estimate. Carpet Steam Cleaning in Lawrenceville, NJ.